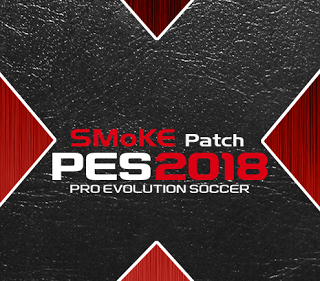 This is a small addon for PES 2018 Smoke Patch 2018 World Cup Edition. It also works with all version of Smoke Patch X. You can download PES 2018 Smoke Patch 2018 X latest version from here. This add-on is made for smoke patch X20, but it should be compatible with all X versions for pes 2018, will not work for pes 2017 (scoreboards for pes 2017 is in progress. This is a special scoreboard and replay logo made specially for X20, it is the default scoreboard in the latest patch. Approximate scoreboard for the world cup, it still have some rough edges but it works fine. England premiere league scoreboard and replay logo, with correct colors and styles, edited for best performance. Serie A of Italy scoreboard as shown on sky calcio TV.